Hyderabad has undergone a massive revolution in recent years, thanks to the development of a number of housing and infrastructure projects in the state. 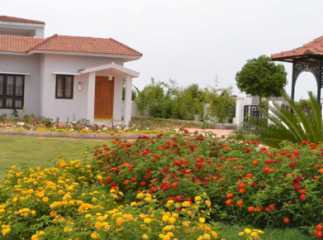 The residential projects in Srisailam Highway present investors and homebuyers with tremendous opportunities. You can get an apartment in the popular residential hub and live a life of luxury. The availability of various amenities makes life simplified and you can rejoice in the comfort of the elegant apartments. The proximity to all the important places has increased the craze for property in Srisailam Highway. The price of apartments in the region has shown a steady rise over the past few years. With further developments in infrastructure coming up in the short run, the value of property in Srisailam is likely to rise further. What makes the residential complexes popular in this region is the seamless connectivity to other regions, including the commercial zones. The residents moving to the estates coming up in the region have access to the Highway Hyderabad from where they can travel to other places. Free from pollution and the crowd, you can get the taste of quality life when you move to the villas in Srisailam Highway. Although the area is close to the industrial zone, the environment is clean. No chemical factory is located close to the region. The commercial zone consists of various electrical and mechanical firms. This makes the area one of the most commercially refined zones. 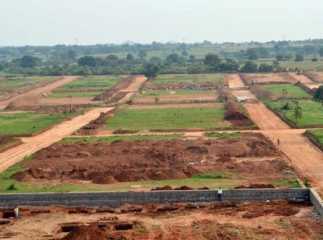 Employment opportunities are tremendous, and you can look forward to buying one of the plots in Srisailam Highway. Close to the residential areas, the Rajiv Gandhi International Airport provides easy connectivity to the residents in the area. Besides, people can reach important areas like Venkatapuram, Tukkuguda, and Barkas in a short time through the well-connected roads. The social infrastructure around the properties in Srisailam, Hyderabad is well developed. You will have access to a number of restaurants, shopping, malls, multiplexes and places of entertainment. The important schools and institutes of higher education in the region include Hyderabad Public School, St. Andrew's High, Nirvachan Kids Play School, Little Flower High School, Vignan Vidyalayam High School, Ravindra Bharathi School, and Al-Qurmoshi Institute of Business Management. Important hospitals in the region include Composite Hospital, Al Madina General Hospital, and Life Line Hospital. When you move to the flats in Srisailam Highway, you will enjoy the easy transportation facilities to a number of shopping malls, including D Mart Shopping Mall and MPM Mall and Spencer’s. The apartments are spacious, with elegant interior designing. The floor planning has been excellent and the residential complexes come with all the amenities you would expect. Fitness enthusiasts can enjoy their time in the swimming pool, gym, or jogging tracks. Kids have their dedicated play areas, and the green cover all around the complex will mesmerize your eyes. If you are willing to invest in the apartments in Hyderabad, this is the right time for you. The price of property in the region is rising. You can book an apartment in advance for yourself and enjoy the ideal mix of luxury and accessibility to important areas.